Paradox is the main antagonist in "Yu-Gi-Oh! The Movie: Fusion Ultra! Bond Over Time and Space". A formidable enemy who travels through time and space to fight Yugi Muto, Jaden Yuki and Yusei Fudo. He wears a mask and his true identity is draped in mystery. Also a D-Wheeler. 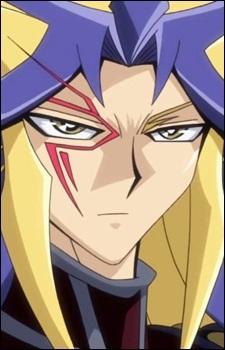 He is one of the few left-handed duelists along with Antinomy and Placido.